The new Apple iPhone XS and iPhone XS Max shipped September 21, 2018. Developers need a solution to detect the iPhone XS in their applications and analytics. Unfortunately, Apple makes its iPhones very difficult to distinguish from each other. But ScientiaMobile’s WURFL.js has javascipt tools that make it easy for you to identify the new iPhone models. If you are looking for a way to test if your new iPhone is identified, then use this WURFL.js demo. 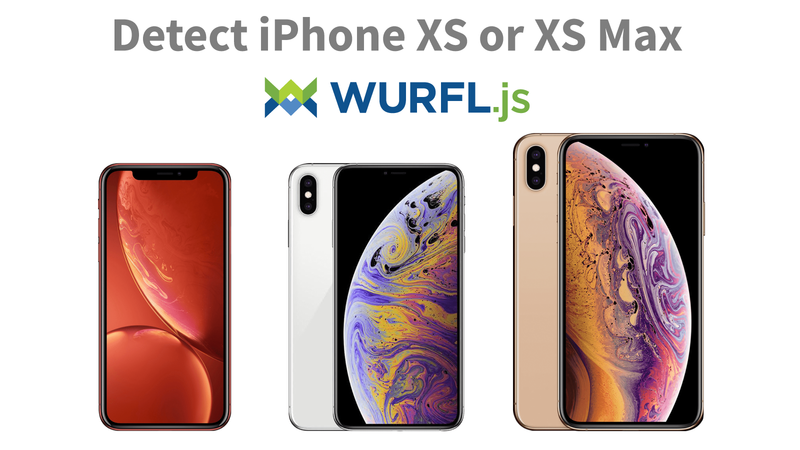 It’s a fun meme generator integrated with WURFL.js that identifies devices, including iPhone XS and iPhone XS Max. Many web administrators rely on Google Analytics to report what types of smartphones and tablets are visiting their website. Unfortunately, Google’s tools cannot distinguish iPhones from each other on website visits (Google can on apps). WURFL.js is a an easy solution. If you follow these 5 steps, you can start collecting data on iPhone XS and iPhone XS Max. Other web analytics or marketing tracking tools can also integrate WURFL.js to get better definition of individual iPhone models. The WURFL.js Lite version is free but includes only three WURFL device capabilities (complete_device_name, form_factor, is_mobile). To get more insightful analytics, businesses will want to combine device name with other WURFL Capabilities. These include WURFL capabilities describing operating systems, browsers, apps, display & resolution, chipsets & RAM, video & audio, economic audience profiling. The Business Editions of WURFL.js provide over 20 device capabilities, perfect for enterprise analytics and advertising. You can learn more about integration in our documentation. Targeting audiences using the latest iPhones is very valuable. Users of recently released iPhones tend to be early adopters. Advertisers or eCommerce sites that target and influence this audience segment see more effective sales. WURFL is the industry standard for real-time device detection among programmatic advertisers. Demand-side platforms can use device detection to target specific devices, smartphones that fall within a certain price range, or smartphones that are of a certain age (either newly released, or prime for upgrading).